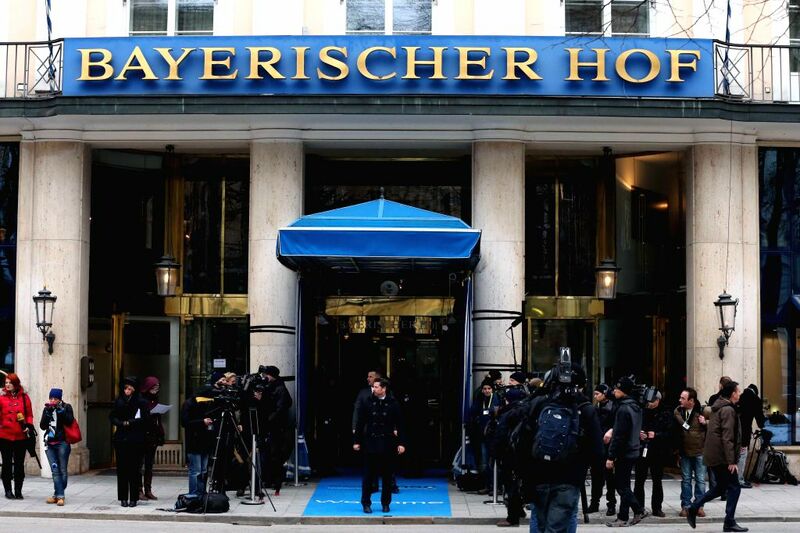 MUNICH, Feb. 6, 2015 - Media staff gather outside the meeting place of the 51st Munich Security Conference in Munich, Germany, on Feb. 6. 2015. The 51st Munich Security Conference (MSC) started on Friday in the southern German city of Munich.